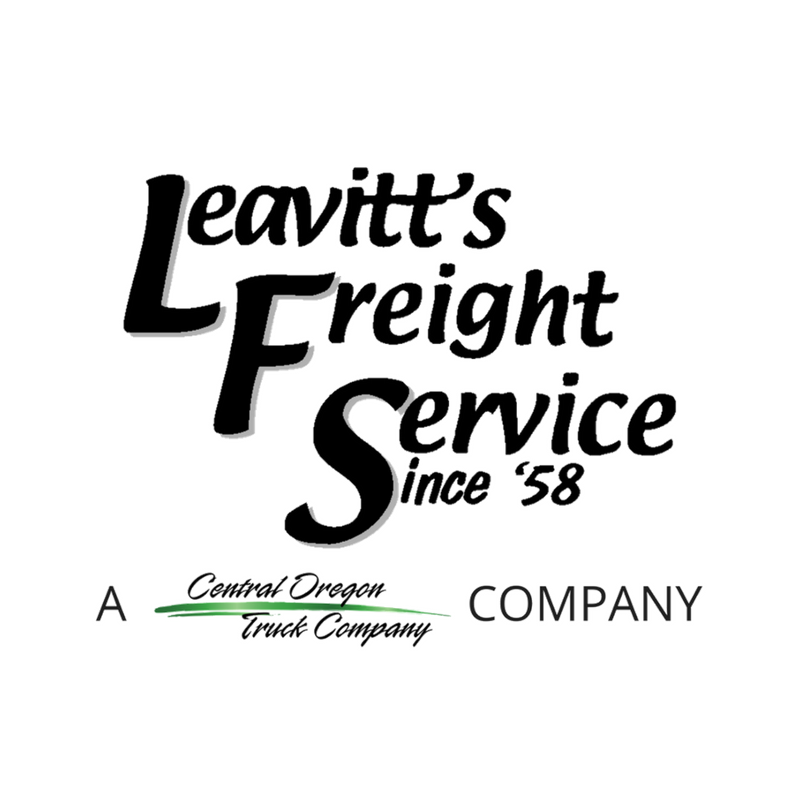 Leavitt’s Freight Service Joins COTC in Merger of Two Oregon Powerhouses - Daseke Inc. 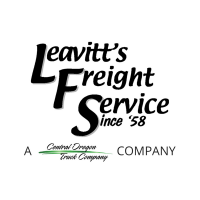 Since 1958, a truck driver has always sat at the helm of Leavitt’s Freight Service. Originally, brothers Doug, Dean and Dewey Leavitt held the wheel, transporting wood poles and laminated beams. As their business grew, they left the road for the office, driving business on the West Coast with phone calls and personal visits. Today, this thriving company operates more than 120 trucks. And a truck driver — CEO Ron Riddle, who started with the company at the tender age of 21 — still steers the company and keeps it true to its founding principles. That commitment helps explains why Leavitt’s Freight Service continues to be the premier hauler of poles and engineered wood products in the American West. Prior to Ron taking charge, company owners Terry Leavitt (son of Doug) and Duane Leavitt (son of Dewey) served as president and senior VP of Leavitt’s, each also having spent time in the driver’s seat early in their careers. Both retired in 2017. 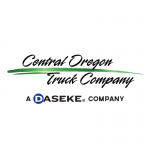 Now, the company is merging with Central Oregon Truck Company (COTC). And COTC’s CEO Rick Williams? You guessed it — he’s a former truck driver, too. According to Rick, merging with Leavitt’s Freight Service is a move that will significantly strengthen each operation. Headquartered just outside of Eugene, Oregon, Leavitt’s is the rare company that has not changed its core business over the years. While Duane and Terry only “officially” joined the company in the late 70s and early 80s, both spent their youth around the Leavitt’s yard. After earning a degree in business management, Terry went to work full-time — heading up return-load matching for Leavitt’s. A passing of the baton happened in 1996. Terry, then 29, and Duane, 27, put together a business plan to purchase the company from the Leavitts senior. It was not easy going. The cousins faced trying times, especially with the dot-com bust in 2000. Helping solidify the Leavitt’s reputation, especially with the utility companies, has been its can-do attitude when dealing with natural disasters. When a hurricane, flood or wildfire strikes, utility poles need replacing — and fast. The Leavitt’s fleet is built to carry long loads, such as poles, that range between 25 to 140 feet in length. Some are small in diameter, others large, and each pole is designed to serve a specific purpose. Leavitt’s uses 45- to 48-foot flatbed trailers as well as a bunk system for its tractors. Their long-wheelbase Kenworth and Freightliners can also handle “float loads” — poles are secured on the tractor bunk and tethered to a “floating” trailer being pulled up to 25 feet behind. The lengthiest loads require steerable trailers that are equipped with a cockpit for the trail driver. While moving poles is challenging work, Leavitt’s also takes on less specialized and more conventional jobs. That includes hauling trusses and engineered wood products for construction projects, plus steel decking. In fact, the company moved much of the steel decking for the Amazon buildings in the Seattle area. As a former driver, Ron remains very hands-on, even getting behind the wheel in a pinch. When it comes to working with COTC, Ron says he looks forward being mentored by Rick and other Daseke sister company executives. If they do become a Best Fleet to Drive For, it will match some other major accomplishments Leavitt’s Freight Service already has under its belt. 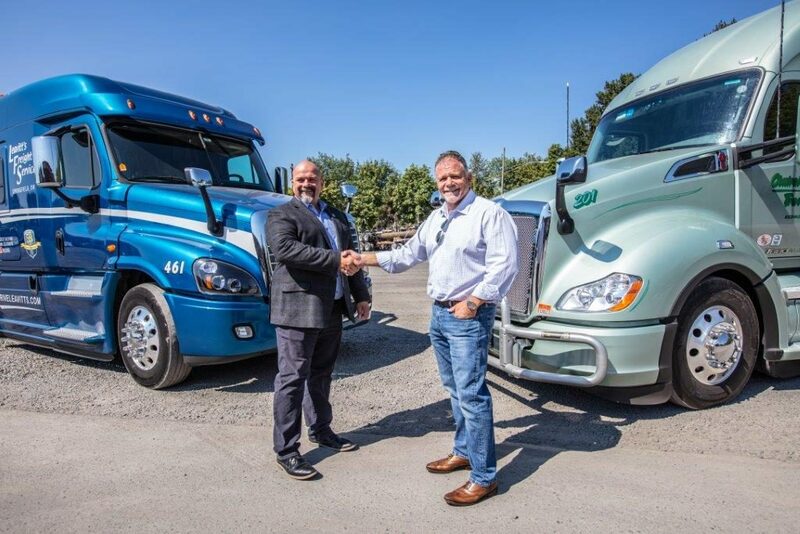 They were named Fleet Safety Grand Champion by the Oregon Trucking Association’s (OTA) in 2016, and Gene Hullette, who serves as the company’s safety manager, was named the Safety Professional of the Year. This year, Leavitt’s captured first place in the OTA’s Fleet Safety Awards in the large fleet category. As a new chapter begins for Leavitt’s Freight Service, Terry reflects on the excitement that the entire company feels at the prospect of joining COTC and the Daseke organization.